With time your garage door will start to give problems. You need a garage door repair service you can trust. All Garage Door Repair in Santa Ana offer comprehensive repair services that are guaranteed to please. With a team of skilled professionals attending to your every need, you can keep you worries at bay when you leave the job in our hands. Garage doors once installed are not given much attention to. This means that problem will begin to surface after a certain amount of time. However, if you attend to them immediately without leaving them to worsen, your door will certainly serve you well for the next few years. 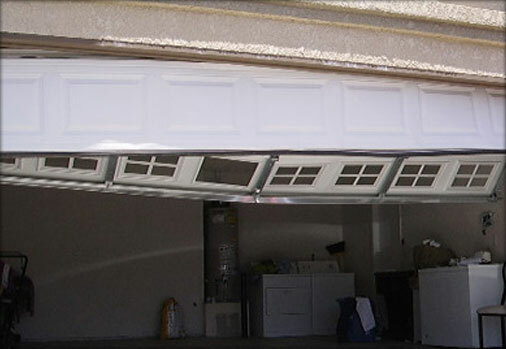 Why Do You Need Garage Door Repair Santa Ana? When your garage door stops functioning properly, it is annoying. However, if you decide to tackle this yourself without having any knowledge of how to handle it, you will only worsen the problem. This is why you need our garage door repair services in Santa Ana. Our skilled technicians can tackle any kind of garage door repair as well as servicing need that you may have. When we repair your damaged garage door, we make use of quality parts that will stand the test of time. So no matter what the problem, just give us a call and our in-house crew will be at your doorstep in a matter of minutes. We will troubleshoot the problem and handle it quickly so that you can carry on with your other obligations. Geared toward providing only the best service to our customers, we provide quality services at the cheapest rates in town. Our value added garage door repair services are something you would certainly want to keep your garage doors in perfect condition. When dealing with any electrical appliance or system, safety becomes a factor that one need to give special attention to. This is why we ensure that our services are carried out with precision and are perfect to the dot. All Garage Door Repair Santa Ana has managed to garner a reputation for providing garage door repairs that will get your door functioning as good as new once more. We are happy to boast of a crew that will attend to your needs at any time of the day. Each and every one of them possesses the experience to take on any task. They are licensed, bonded and certified so you don’t even have to worry about supervising them while they get to work. To make sure that your garage door runs smoothly, we provide regular maintenance checks apart from emergency garage door repair service in Santa Ana. Since the extension springs or torsions are what the entire door system runs on, this need to be installed with care. It is not easy to do this and if you don’t know what you are doing, it is best to stay as far away from it as you possibly can. If these torsion/ extension springs, depending on which ones your door uses, are not installed properly, it could result in serious danger. If the retention wires are not connected like they should have been, the spring can snap and cause the garage door to shut without any warning. This is why we, here at All Garage Door Repair in Santa Ana stress on calling the experts to handle the job, whenever possible. We always make sure that every safety measure is properly adhered to. Apart from our repair work, we also provide frequent maintenance checks for this sole purpose – to make sure everything is in perfect condition. We value your safety and thus advice that you should not try to install these on your own. What Makes All Garage Door Repair Santa Ana a Service You Can Trust? Dedicated to providing customer satisfaction, our services are available 24/7 so just give us a call and know that we will be there within the hour. Not only are our technicians licensed and experienced but they also friendly and always willing to address every grievance you have. We guarantee top-notch services at the best rates in town. So hurry visit All Garage Door Repair in Santa Ana and get all your garage door repair needs addressed right here.